Dredd goes to see the shrink. 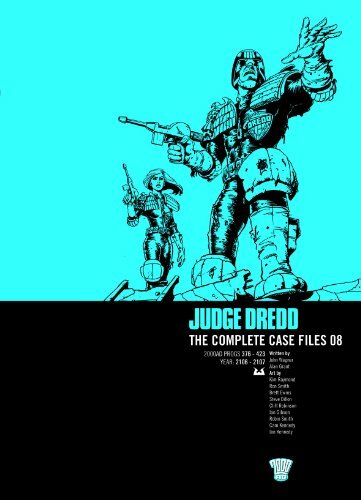 This is more tone poem than adventure story as we delve into Dredd’s clone childhood. The interesting part is the discussion between the psychiatrist and the Chief Judge about how all Judges deteriorate after prolonged service and what they can do about it. This is another great performance from Ron Smith on art duties. Each of Dredd’s memories is graphically heralded by a picture of a cassette tape with the session number intended to show you that this is taking place over a long period of time. Sadly it is easy to miss these and you just assume on first reading it all comes out in one big stream.